The final day of rock and metal fest Rock on the Range was full of sun, great tunes, and memorable sights. The sun, however, seemed to be taking its toll on Rangers as I would consistently see attendees being carried out of the hot sun by friends or by paramedics. There did not appear to be any serious injuries to report, just cases of dehydration mostly. The sentiments from other tailgaters were essentially the same, except several were waiting for the headliner – Kid Rock – to begin, which would not be until 9:15 pm. 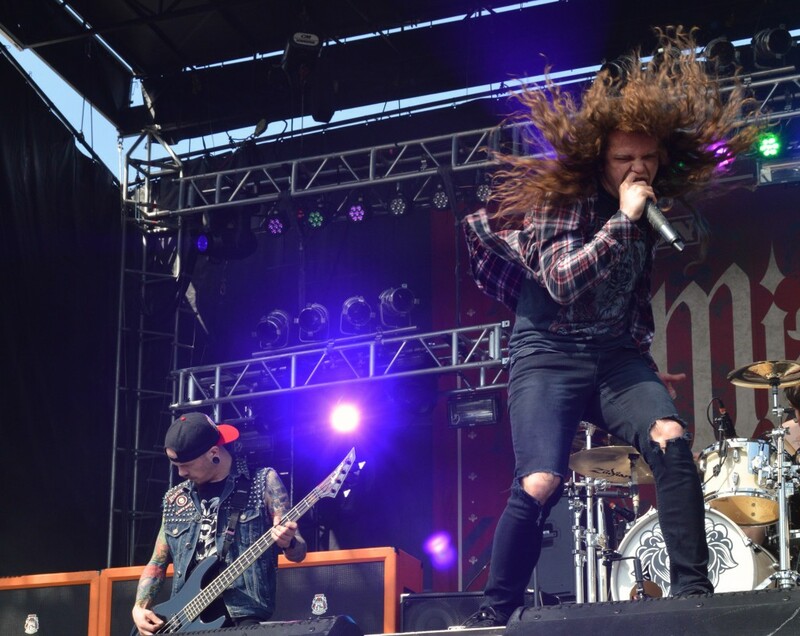 Dayton, Ohio band Miss May I began their 4:20 pm set with a flurry to the largest crowd at the Ernie Ball Stage of Day 3. Lead singer Levi Benton ignited the crowd through each of the band’s songs, old and new. Benton then had the crowd perform what is known as a “marathon pit.” A marathon pit is where the crowd essentially runs in a circle while gaining energy from the music being played – it’s like a circular mosh pit in a sense. The crowd obliged and performed the marathon pit with no reported injuries. It was a very metal moment and definitely the most fun performance to watch all day. Comedian Jim Breuer is more than just a funnyman; he is an incredible singer as well. When his band took the Jagermeister Stage at 3:05 pm I was not completely sure what to expect. Now I know Breuer and his band are formidable in the metal world, as well as funny as hell. Breuer had the crowd bursting with laughter as often as he had the crowd going nuts to the songs being played. He also did a comedy set in the Old Milwaukee Comedy Stage at 7:15 pm, but I unfortunately could not make it. Jason Bonham, son of the famed drummer John Bonham of Led Zeppelin, and his bandmates brought out the classic rock fans in droves as I noticed the crowd was slightly older than any other performances at Rock on the Range. Jason Bonham’s LZE began their set with the well-known “Immigrant Song” to a crowd that knew every single word by heart. 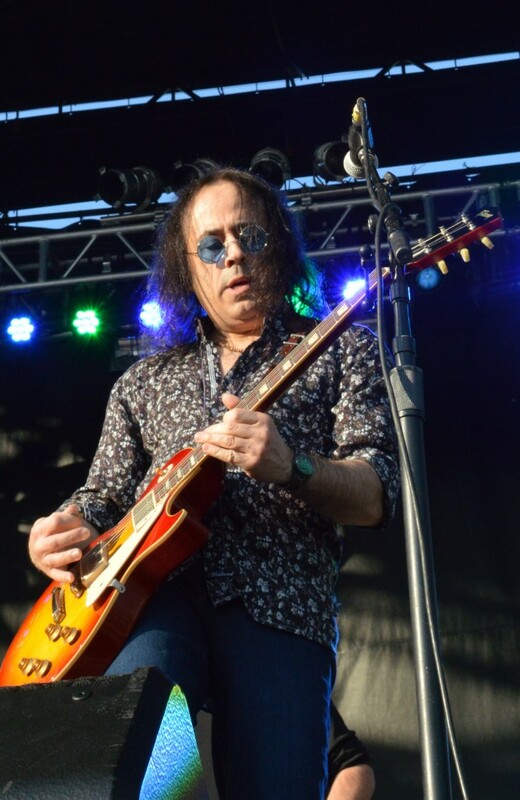 During the middle of the set, Jason Bonham stated: “I wish I would have had the chance to tell my dad how great he truly was; you guys, America, knew, though! Thank you for making Led Zeppelin.” It was truly a heartfelt moment and wonderful set. During a raucous set, lead singer Ivan Moody mentioned to the crowd that “security is here to protect you, not us.” And he said, “I see you all out there making these guys (security) work hard! Let’s keep this sh-t up,” as he began the song “Burn Motherf—-r.” The crowd did their best to make security earn their pay as crowd surfers and other objects began flying everywhere amongst the crowd at the Monster Main Stage. It was intense and actually looked like a fair amount of fun; no severe injuries were reported either! 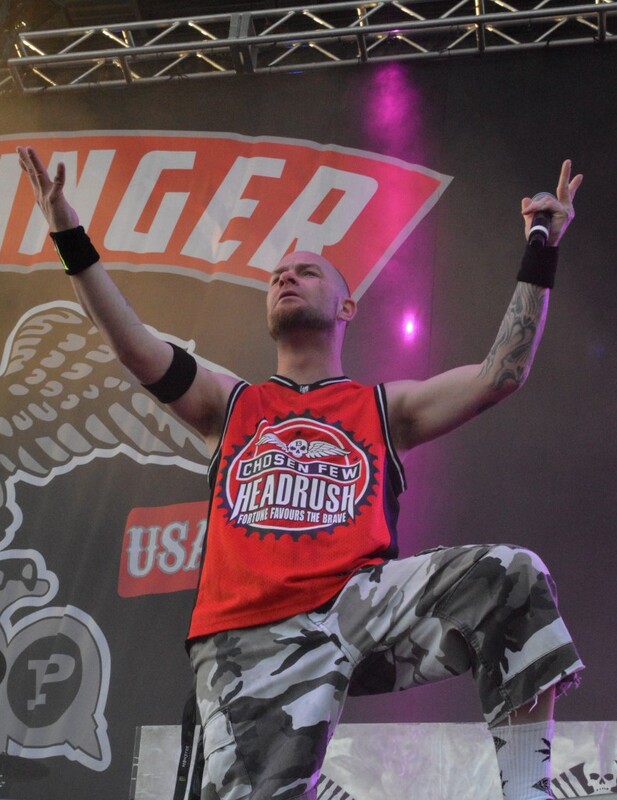 Five Finger Death Punch were easily the “loudest” band of Day 3 – it was almost as if they had special speakers. Detroit’s own, Kid Rock, was welcomed with open arms at Crew Stadium in Columbus. Though I was expecting a more country-esque set from Kid Rock, I was enjoyably surprised by Kid Rock’s set and his showmanship on stage. He knew how entertain the crowd and how to bounce around the stage like a wild man, all the while belting out lyrics to all his songs. He even got intimate with the crowd with “Only God Knows Why.” However, I could be wrong because there was a slight problem with the sound equipment at one point and could not quite understand Rock – those around me could not 100% verify the song at the time. Nonetheless, Kid Rock did a stupendous job closing out the largest rock festival in America. 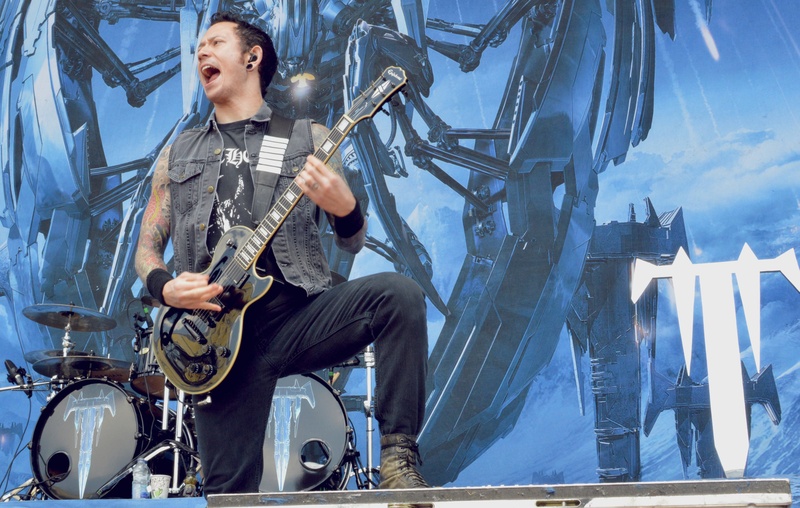 Were you at Rock on the Range? Let us know in the comments about your experience and what bands you would love to see at the rock festival next year!